Information is power. 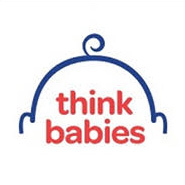 This resource page contains publications and guides for parents and professionals to advocate for babies and can be used in your discussions to support the healthy growth and development of babies. Find reports, fact sheets, infographics, presentations and video playlists. Campaign Brochure. 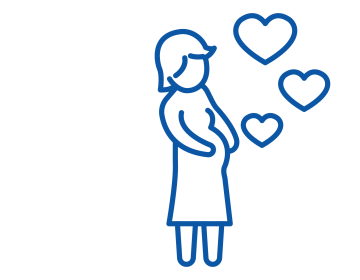 Use this brochure to talk to others about making babies a state priority. Find Videos. Visit our YouTube playlist to watch videos on our policy areas as well as on parenting tips for parents. Get Data. Read New Jersey Babies Count 2018, A Statewide Profile of Infants and Toddlers. This is ACNJ's first-ever Kids Count data report focused just on babies. 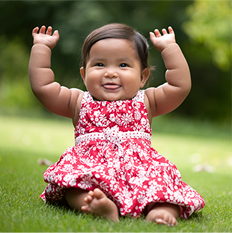 This babies report focuses on New Jersey’s children from birth to age 3, highlighting data surrounding the need for children to have strong families, healthy starts and positive early learning experiences. Check out our child care playlist on YouTube. 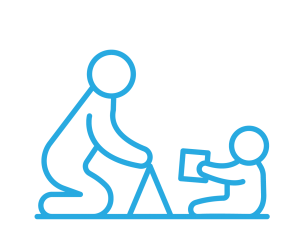 ACNJ first-ever Kids Count report focused on New Jersey’s children from birth to age 3, highlighting data around the need for children to have strong families, healthy starts and positive early learning experiences. This report summarizes the challenges of finding safe, reliable, and affordable quality child care for infant-toddlers shared by parents in a series of focus groups and interviews. Finding safe, reliable and affordable high-quality child care is a challenge for many working parents. This report reveals the deep shortage of options for New Jersey’s very young children. View County Fact Sheets on center-based infant-toddler child care for every part of the state. View an interactive map of licensed child care centers providing care to children under 3 years old in New Jersey. You can also view centers that participate in Grow NJ Kids, the state's child care rating and improvement system. To determine what it would cost to ensure all children are cared for in high‐quality child care settings, ACNJ teamed up with national early childhood financing expert Anne Mitchell to conduct a cost-estimation study using real budgets and cost data from New Jersey child care providers, as well as early care and education stakeholders. Check out our paid family playlist on YouTube. Right from the Start NJ – Find blogs, videos on parent tips as well as on birth to three policy issues. Check out our home visitation playlist on YouTube. Check out our healthy emotional-social development playlist on YouTube. 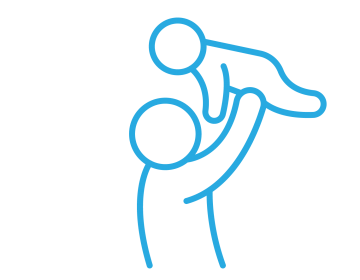 ACNJ Child Welfare Training Videos – Provides short videos that cover topics related to child welfare. Below are videos that specifically address healthy social-emotional development. Right from the Start NJ – Find blogs, videos on parent tips as well as on birth-to-three policy issues. 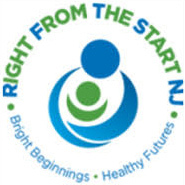 ACNJ is a lead partner in New Jersey’s Right from the Start campaign and a proud partner of the national ZERO TO THREE Think Babies campaign, working to promote enriching early experiences and a strong foundation for development from the start. Read about our partners. Learn more about the critical importance of the early years of child development from birth to three. Learn more about the national issues affecting children. Join us for ACNJ’s rally for babies! The consequences of ACEs can last a lifetime, leading to physical and mental health issues in adulthood. Read this ACNJ article that appeared in the NJ American Academy of Pediatric Journal. Highlights include pre-k, K-12 school funding formula, child care subsidy rates and EITC. Check out how NJ ranked compared to the rest of the Nation. These videos can help when making decisions or mitigating stress for children involved in the child protection system.